Widow of Kansas bar hate crime victim was almost deported after husband’s death. 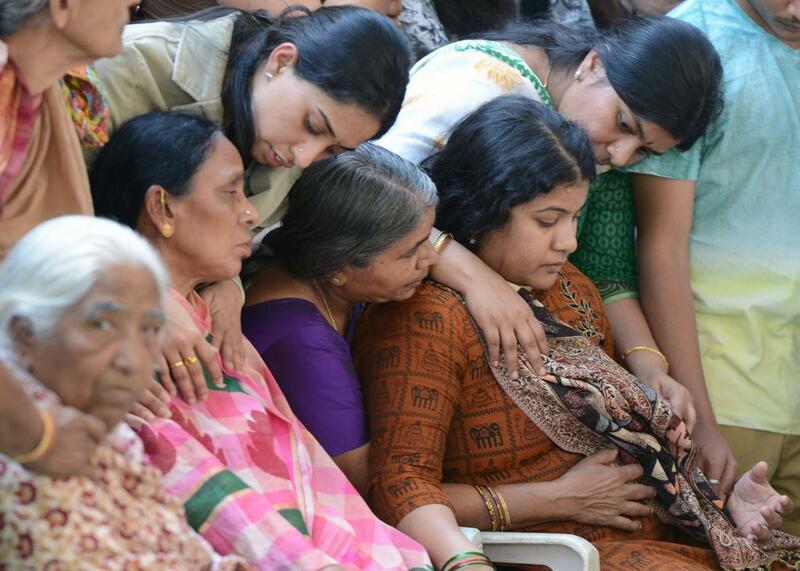 Sunayana Dumala (R), wife of killed Indian engineer Srinivas Kuchibhotla, who was shot dead in Kansas, is consoled by family members prior to performing the last rites at his funeral in Hyderabad on February 28, 2017. The widow of the man who was killed in a suspected hate crime at a suburban Kansas City bar seemed to be headed toward deportation until a congressman heard about her plight and helped her stay in the country. When Srinivas Kuchibhotla was killed in the February 22 shooting at Austins Bar & Grill in Olathe, Kansas his wife, Sunayana Dumala, lost her U.S. resident status. The shooting shocked the nation as witnesses said the gunman shouted racial slurs before he opened fire on two Indian men, apparently under the presumption they were Muslim and illegal immigrants. Kuchibhotla was killed while his friend and another man who intervened were wounded. As soon as he heard that the wife of the victim of the suspected hate crime may not have been able to return to the United States after traveling to India for her husband’s funeral, Rep. Kevin Yoder of Kansas was “apoplectic.” He intervened directly to help Dumala get a one-year residency that would allow her to keep working at her job in a marketing agency. “We are not going to deport the widow of the victim of a hate crime,” Yoder told the Kansas City Star. 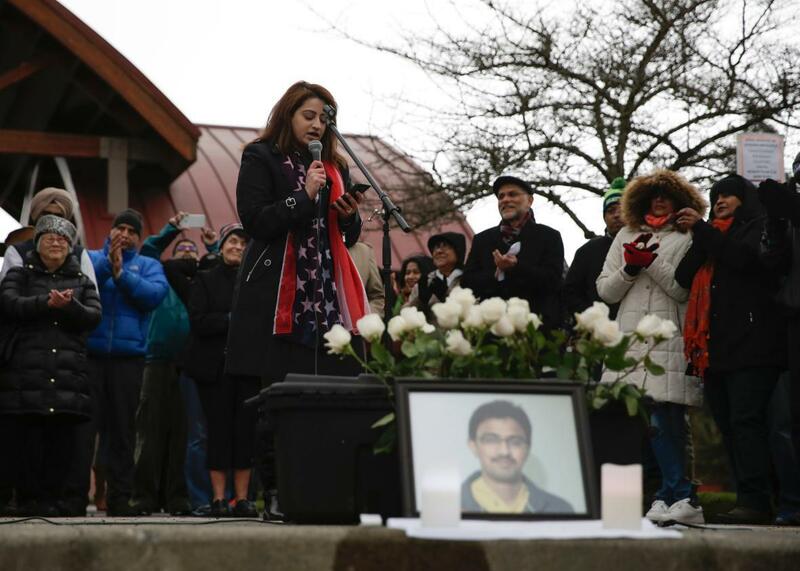 Americans for Refugees and Immigrants Executive Director Anny Khan speaks during a peace vigil for Srinivas Kuchibhotla (pictured), the 32-year-old Indian engineer killed at a bar in Olathe, Kansas, in Bellevue, Washington on March 5, 2017. “On the fateful night of Feb. 22, I not only lost my husband but also my immigration status,” Dumala said in an email to the paper, saying several people are helping her secure permanent residency. Yoder is highlighting this case as an example of why there’s a need for legislation to make it quicker for well-educated immigrants to receive the status of permanent residents.